The West LA/Malibu Chapter supports two local high schools through its Teach and Test Program. Originally funded by a CA State Whale Tale Grant, the Heal the Bay Surfrider Club runs a water testing lab at Santa Monica High under the guidance of their Marine Biology teacher. 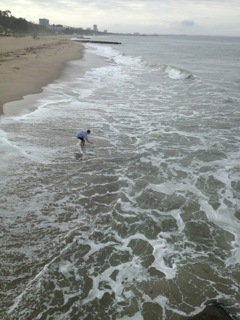 This club has been collecting and testing weekly water samples from three local beaches since 2009. 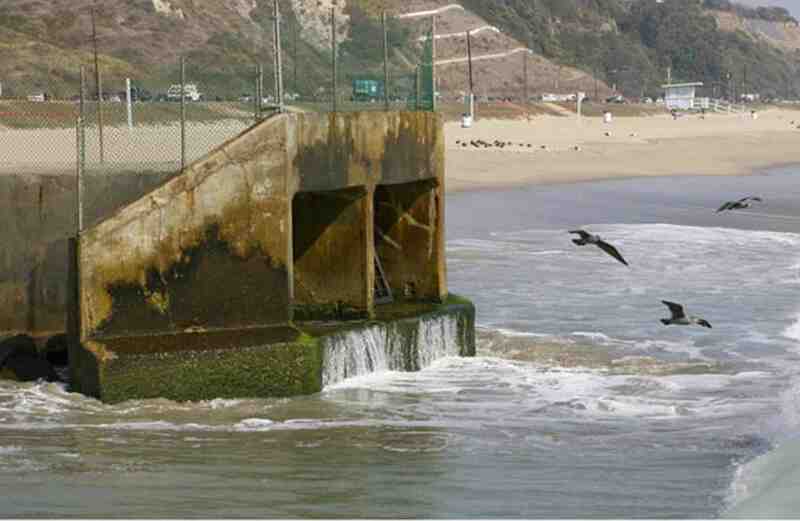 Two of their sampling sites have known pollution issues, including the Santa Monica Pier and a storm drain that discharges polluted runoff and trash directly onto the beach. Their third site acts as a control and is located at a beach where the students like to hang out and surf. Club members collect and process the water samples during their lunch period and go back to the lab the next day to read and record their results. 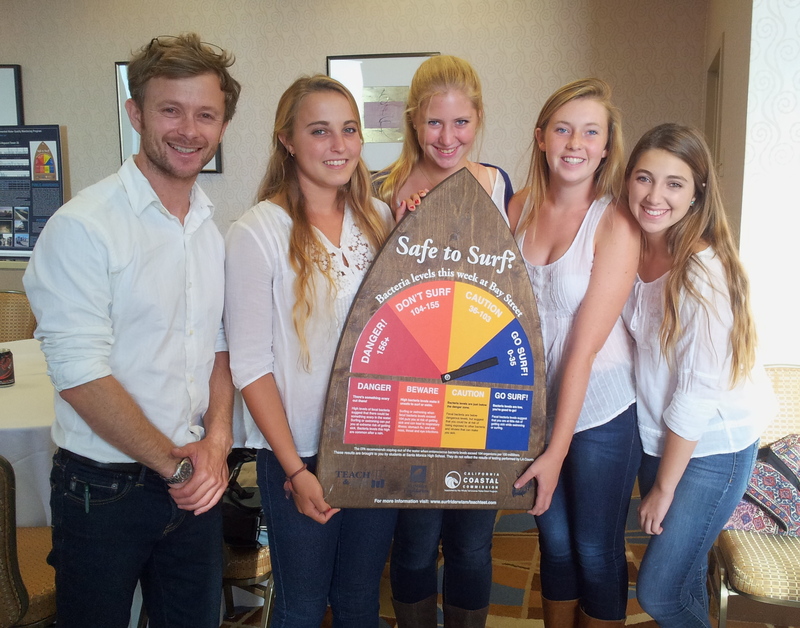 The Heal the Bay Surfrider Club at Santa Monica High has done a great job of getting their water quality results out into their local community to raise awareness of local water pollution issues. In addition to posting their data on the Surfrider BWTF website, they also have ‘Safe to Surf’ water quality boards set up at 10 local businesses and shops that are updated according to their weekly results. They also frequently send out press releases when their testing reveals alarmingly high bacteria levels as is often the case at their storm drain site after fall and winter storms flush the landscape. Club members have also presented their results and study design at the LA County Science Fair and and are featured in a video produced by the Green Observers Foundation. View the video here. In addition to their weekly sampling, the students host and participate in different events throughout the school year including and end-of-the-year program celebration, beach cleanups, and paddle-outs to support plastic bag bans. They also host a mentorship program for area middle school students and their teachers, where introduce the younger students to water testing methodology and local water pollution issues. In 2012, the West LA/ Malibu Chapter set up its newest water testing lab at Palisades High School, after being approached by several student surfers who wanted to test the water at their local beach after years of hearing reports of their friends and other surfers getting sick from swimming in polluted water. Also members of their school’s Heal the Bay Surfrider Club, these students collect and process weekly water samples from a State beach that is impacted by the Temescal Canyon storm drain. Two of the students completed an analysis of their 2012 data for their AP Environmental Studies class and compared their bacteria results with local rainfall patterns and with the results of their neighboring program at Santa Monica High. They also spoke at a LA County Board of Supervisor’s hearing in support of a local initiative to control stormwater runoff and to protect beach water quality. Palisades High intends to continue to test their beach throughout 2013 building a baseline of water quality information before a new stormwater separator and detention tank comes online to service the Temescal Canyon storm drain this fall. Their data next year should speak to the new system’s effectiveness. Find out who else is testing beach water in California and where by clicking on the CA State summary in NRDC's Testing the Waters Report. Learn more about beach monitoring programs and water quality issues in California in the water quality section of Surfrider's State of the Beach, California State Report. Links to county specific beach websites with water quality data and closures, postings, and advisories can also be accessed in the State of the Beach Report.